Cash flow from operating activities for January-September 2013 totalled EUR 261 million (-34). The working capital at the end of the period totalled EUR 488 million (485). Advances received at the end of the period totalled EUR 799 million (685). Cash and cash equivalents at the end of the period amounted to EUR 254 million (199). Wärtsilä had interest-bearing debt totalling EUR 800 million (899) at the end of September 2013. The total amount of short-term debt maturing within the next 12 months was EUR 219 million, including EUR 123 million of Finnish Commercial Papers. Net interest-bearing debt totalled EUR 534 million (698). The funding programmes at the end of September 2013 included long-term loans of EUR 581 million, committed undrawn long-term loans totalling EUR 100 million, and unutilised Committed Revolving Credit Facilities totalling EUR 599 million. The funding programmes also included Finnish Commercial Paper programmes totalling EUR 700 million. The solvency ratio was 42.0% (39.7) and gearing was 0.31 (0.42). Key figures have been restated due to changes in pension accounting (IAS 19 Employee benefits). The impact is described in the IFRS amendments section. At the end of August, Wärtsilä received a significant order to supply the propulsion solutions for six new offshore pipe-laying vessels being built by IHC Merwede, a global leader in the supply of vessels and equipment. 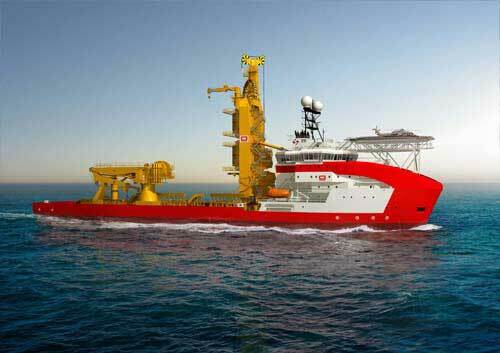 Three of the ships are to be built for Subsea 7, a seabed-to-surface engineering, construction, and services contractor to the offshore energy industry. The other three were ordered by Seabras Sapura, the partnership entity of Sapura Kencana and Seadrill. Both Subsea 7 and Sapura Kencana already have vessels with similar Wärtsilä equipment installed, and Wärtsilä has enjoyed a long-standing and successful relationship with IHC Merwede. Furthermore, Wärtsilä has an existing worldwide services and spare parts contract with Subsea 7. All six vessels are scheduled for delivery during 2015 and 2016, and each will serve the Brazilian offshore market on behalf of Petrobras, the multi-national energy corporation. Wärtsilä signed its supply order for the first vessel in the second quarter of 2013, and the remaining orders in the third quarter. The scope of supply for each ship comprises six 8-cylinder Wärtsilä 32 engines, two transverse thrusters, two retractable thrusters, and three steerable underwater de-mountable thrusters. Wärtsilä’s ability to secure easy and quick changing of the underwater de-mountable thrusters was especially important to the customer. The contracts call for a tight delivery schedule, and Wärtsilä’s ability to meet deadlines while supplying equipment and machinery that provide the necessary quality, reliability and efficiency was another key factor.